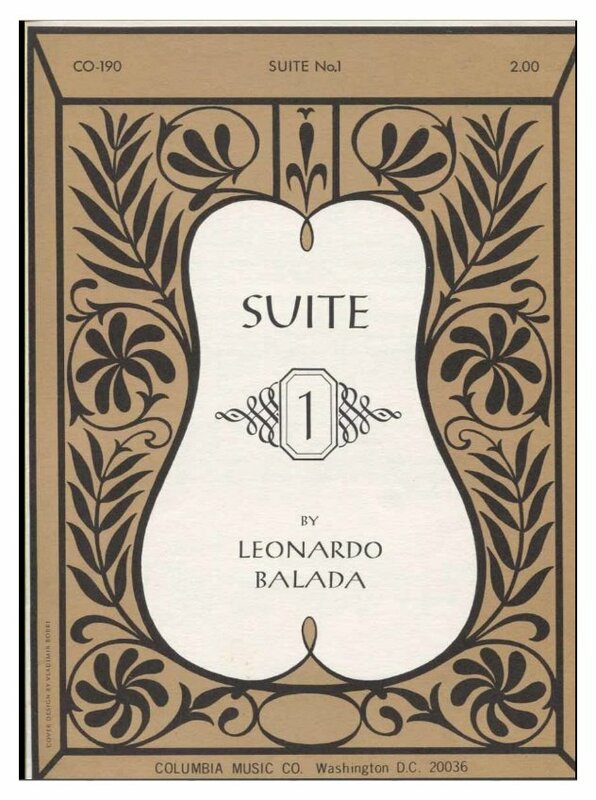 Leonardo Balada Interview with Bruce Duffie . . . . ..
Born in Barcelona, Spain, on September 22*, 1933, Leonardo Balada graduated from the “Conservatori del Liceu” of that city and the Juilliard School in 1960. He studied composition with Vincent Persichetti, Aaron Copland and conducting with Igor Markevitch. Since 1970, he has been teaching at Carnegie Mellon University in Pittsburgh, Pennsylvania, where he is University Professor of Composition. 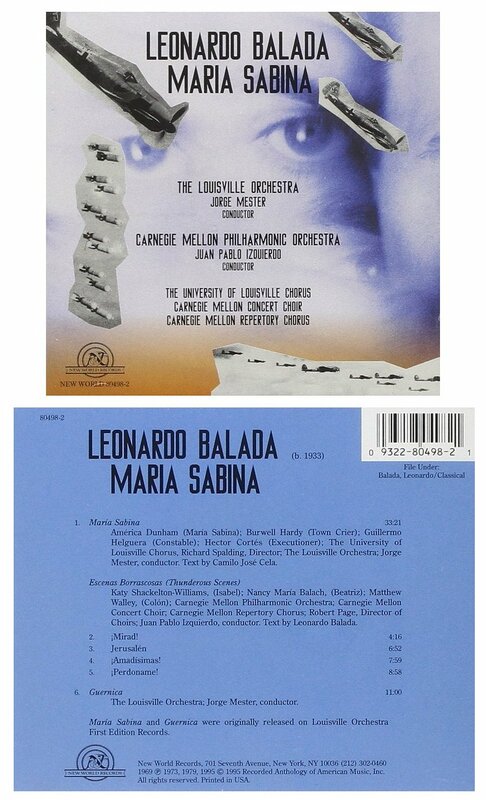 Balada’s works are being performed by the world’s leading orchestras, such as the Philharmonics of New York, Los Angeles and Israel; the Philadelphia Orchestra; the Philharmonia Orchestra of London; the symphonies of Pittsburgh, Cincinnati, Detroit, Dallas, Washington D.C., Milwaukee, Oregon, Prague, Düsseldorf, Barcelona, Sao Paulo and Mexico; the radio orchestras of Leipzig, Berlin, Berne, Madrid, Hanover, Moscow, Helsinki, Luxembourg, BBC (Manchester) and Jerusalem; the National Orchestras of Spain, Lyon, Toulouse, Marseille, Ireland, Colombia, and Peru, and conducted by artists like Lorin Maazel, Mstislav Rostropovitch, Rafael Frühbeck de Burgos, Jesús López-Cobos, Lukas Foss, Mariss Jansons, Jorge Mester, Sergiu Comissiona and Neville Marriner. He has been commissioned by many outstanding organizations in the United States and Europe, including the Aspen Festival; the San Diego Opera; Teatro Real of Madrid; the Pittsburgh, Cincinnati and Hartford Symphonies; National Endowment for the Arts; Benedum Center for the Performing Arts; the Lausanne Chamber Orchestra; Berlin Radio Symphony Orchestra; The Millennium of Catalonia; Sociedad Estatal para el V Centenario; the National Orchestra of Spain; the Radio TV Orchestra of Madrid; the Barcelona Symphony Orchestra and others. He has composed works for artists like Alicia de Larrocha, Lorin Maazel, Mariss Jansons, the American Brass Quintet, The Miro String Quartet, Andres Segovia, Narciso Yepes, Lucero Tena, Angel Romero, Eliot Fisk and Andres Cardenes and has collaborated with artists and writers like Salvador Dali and Nobel Prize winner Camilo Jose Cela. A large number of his compositions are recorded on Deutsche Grammophone, Naxos, Albany and New World Records. 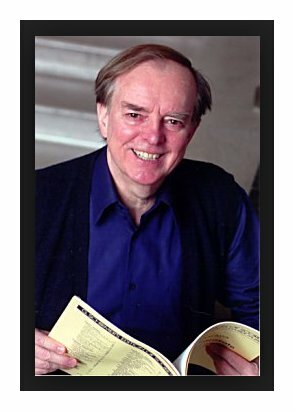 Some of his recordings include “Steel Symphony” and “Music for Oboe and Orchestra” with the Pittsburgh Symphony conducted by Lorin Maazel, and the cantatas “No-res,” “Torquemada” and “Maria Sabina.” One of his CDs on Naxos— three concertos for piano, guitar and flute—were selected by Amazon.com as one of the “10 Best recordings of 2001” for classic instrumental music and also won the prestigious Rosette award granted by Penguin Guide to Compact Discs. 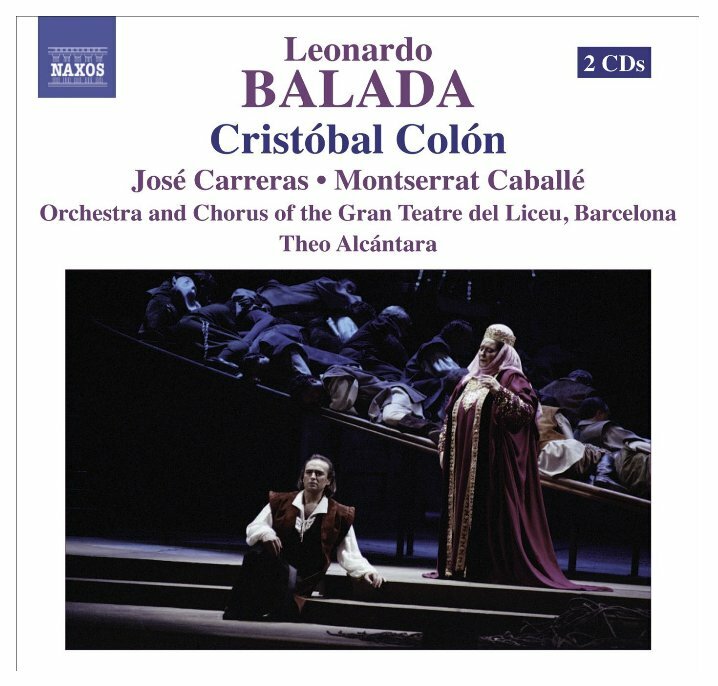 Balada’s large catalog of works includes, in addition to chamber and symphonic compositions, cantatas, two chamber operas and four full length operas: “Zapata,” “Christopher Columbus,” its sequel “Death of Columbus” and “Faust-bal.” “Christopher Columbus” was premiered in Barcelona in 1989 with José Carreras and Montserrat Caballe singing the leading roles and attracted international attention. 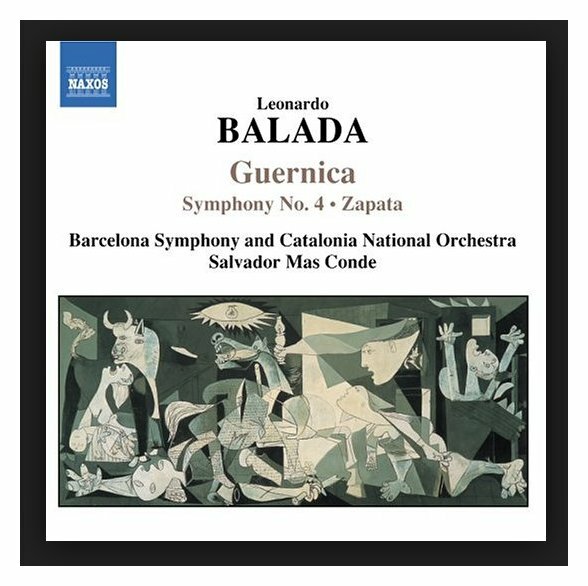 The New York Times calls Balada’s contribution “a gift to his native Catalonia” while the Washington Times calls the work “a masterpiece…a landmark score in the lyric theater of our time.” “Christopher Columbus” and “Death of Columbus” have been release by Naxos Records. * See his explanation of the date at the end of the interview below! 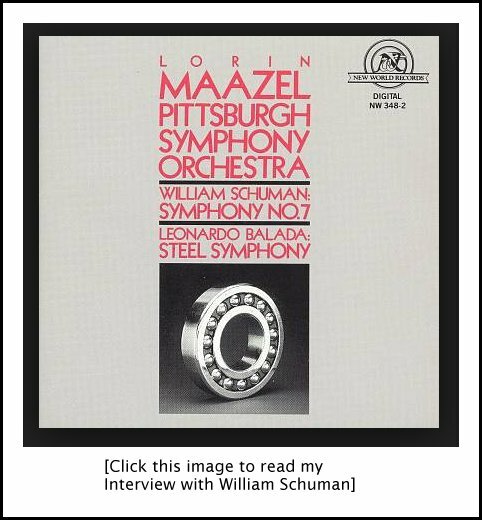 --Biography (text only) from the Pittsburgh Symphony (very slightly corrected, and edited). -- Names which are links refer to interviews by Bruce Duffie elsewhere on this website. 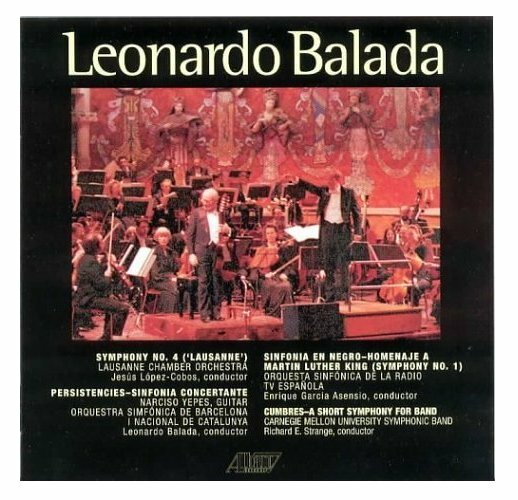 Balada was in Chicago in April of 1998 for performances of his Concierto Magico with the Chicago Sinfonietta and guitarist Angel Romero. During his visit, he graciously took time to come to the studios of WNIB, where this interview took place. Some of his comments were subsequently used on the air there and elsewhere, and now the entire conversation is presented in this transcript. Bruce Duffie: In one of the biographies, it mentions that you were both a composer and a tailor! Is there any time when you are working with the notes and the expression marks that you feel you are tailoring a piece of music, or making a suit of music? Leonardo Balada: Perhaps I do all the time. I always view composition as a craftsman, in a way, which perhaps is the patience I have in composing. It comes from being a tailor when I was a teenager, actually. I am from Barcelona, and my father was a tailor, and my grandfather was a tailor. I was supposed to be a tailor — that was actually the only future available at that time in Spain, during the Franco time. After the civil war we had very hard times, and it seemed to be a logical future for me. I learned to be a tailor since I was a little boy. I was able to sew jackets and pants, but I hated it, to tell the truth. I hated it very much. So when I had a chance to come to America in 1956 to study music, I took it immediately. BD: Obviously you had always been interested in music. LB: Well, I was. I had already studied piano at the Conservatori del Liceu in Barcelona, which amounts to a bachelors degree, really. I also had some theory, but I came here to study composition. BD: Did you always want to compose, or did you just want to be involved in music somehow? LB: My father sent me to study piano when I was perhaps seven or eight, with the thought that he wanted me to understand good music. He was an opera and symphony lover. I was involved with pop music at the time, and he thought it was bad music. So that’s why he sent me. He didn’t intend for me to be a professional, but he wanted to broaden my taste and my education. That was the whole issue. He didn’t aspire that I become a professional musician. BD: The music you write — is that for people who understand music? LB: I don’t really know. I suppose they have to. You put some hard questions to me, by the way! [Both laugh] I write music that I like. I write music that I’m satisfied with. I write music that I think that I am listening to when I’m composing it. As I am sitting in a chair, in the auditorium or any place, if I’m writing a piece I’m listening to what I think I’m writing, and if I like it, I put it down. So I conceive it in my mind this way. Of course I imagine that perhaps through the years I develop a certain sense of affinity toward the public — the public that has a certain knowledge of music and a certain taste for music. I never got to write music in the hundred percent abstract sense of the word, as they used to and as some composers still do now sometimes. So maybe to answer your question, yes, in a way I think I write music for an audience who are sort of prepared to know a little bit, but I wouldn’t say that it has to be overly knowledgeable about it. I always think the music, if it is good music or well done, it should be able to reach practically anybody. BD: You used a word I want to pounce on, and that’s “good.” What is it that makes good music? LB: Wow, here’s another difficult question. To me, good music is the one that reaches, but brings the standards a little bit higher than what one would normally expect. In other words it reaches, but not overly so. The public has to make a little bit of effort to get it, but not too much. And of course that it has emotion. I always believe in the emotion. I believe in the drama. I don’t like intellectual music a hundred percent, but I believe that being intellectual is important for the composer as well. It’s a combination. In Catalan, when we speak we say that we amb raonament. This is a term that means we talk with reason, with the mind. We are free to talk as much as we want, but there is always a check with our reason. That is something that comes with age in the Catalan culture somehow. I don’t know why it carries this, but it means not just talk, but talk always with thinking of what we say — which is not exactly what happens all the time. BD: So your music always has to have reason. Is it your reason, or is the music’s reason? LB: It is my reason. The music is my reason, actually. It does reflect my thought. I am very sincere with the music, very sincere. I don’t do music because I know it has to be done that way, but because I feel it has to be that way. So it’s really my music, and the reasoning here comes because of my mental improvisation of the music. But still, I’m checking constantly. We conceive chess as a sport of the intellect, and you plan things. I did soccer, which is spontaneous and fiery and enthusiastic. Basically my music is the combination of the two worlds. In America there’s not much soccer. I am not particularly a soccer fan, but I grew as a kid playing soccer. LB: Yes, I had no choice. In New York I saw a game of soccer in the early sixties, and I never saw that here before. The team began at one end of the field, and they were advancing, advancing, advancing, beautifully, beautifully, beautifully, until the very end at the other side, and they scored a goal. It was perfect, and the enthusiasm was unbelievable because it was more suspense than you’re going to believe in any other sport, perhaps. It was amb raonament there, complete amb raonament of intellect, intelligence, until finally it succeeded in making the goal. I would say I try to recreate this image in my music. How? I don’t know. A goal, meaning to me to reach to the point of the drama, of the tension, that says, “That’s what it is.” Whether it is drama or happiness, it’s always a direction that goes, that begins somewhere, and ultimately, if I’m lucky, I achieve that in an explosive fashion. BD: Is there only one goal in each piece of music, or can there be several goals? LB: It could be several little mountains of goals, but generally there is one master direction of the piece. My works always have the direction. I’m very, very western in this respect. BD: Are your works related in any way to each other, or does each one stand individually? LB: I make a point not to diversify myself too much into newer styles, for instance. I make a point to pave my personality by using certain devices that I think are mine, so in this respect I am using certain common ground to work the work. But on the other hand, I always like to certain kind of experimentation of things I’ve never tried before. So in a composition, I would say that I use maybe seventy-five or eighty percent of things I already tried. I try and express my thoughts even better, and it is always perhaps twenty percent of things that I never tried. I’m taking a chance and will see what happens. This is why I keep using always a common ground from work to work, but also certain freshness is involved as I move along. BD: When you’re working on the piece and you’re putting the notes down on the paper, how do you know if something is going to work? BD: Are you just a transcriber, then? LB: In a way. The truth about it is that what I hear in my mind, I might not like. So then I disregard it. Then I try to create another sound in my mind — another direction, another texture, another drama — whatever it is, sound-wise, and then I say, “That’s what I want.” Then I hear it. So it’s a certain guarantee that if I like it in my head, I’m likely to like it even better when it’s live, when it’s reality. BD: You work it all out before you even set it down? BD: When you set it down, is it right, or do you tinker with it again? LB: Well, of course, I can’t work on my intellect. I play my chess game, here. I think about it and I say, “Well, maybe yes, maybe not,” and I go around and fix it. In other words, it is very rarely I leave the things untouched from the beginning, although I try not to kill the spontaneity. It’s a big drama here as well in the process. I want to make sure that there is spontaneity, but I want to make sure that my intelligence, my experience, is always checking it so that I don’t go in the wrong direction. In fact, my experience could make sure that I’m on the right direction. BD: When you bring everything together and you tinker with it, you get it right. How do you know when you’re done? LB: Sometimes by exhaustion! [Both laugh] I think that is it! There is not much you can do about that. BD: Is it physical exhaustion, or mental exhaustion? LB: Both. I do get myself very exhausted sometimes, composing. I tend to work when I’m the freshest in my day, which is generally five or six o’clock in the morning. That’s my best time for composing, when I’m really rested. Then I hear my potential. Composing takes a lot of energy. That’s why I’m afraid that if I get older and older, I might be able to compose less and less. I will be older and be able to take fewer chances on things. You see, it’s a combination of throwing yourself toward something, and at the same time you need to have something very intense inside you, the feeling that you want to explore something. I could write a symphony every week if I wanted! LB: I have the technique. I could write a symphony like Mozart, and have the same quality. [Laughs] But any professional composer could write very fast, like you write letters, but that’s not the point. BD: That would be just grinding it out. LB: Right, that would be just mechanical, and it would be exercise. It would probably be quite well done, because we are professionals for many years, but the question is whether you want to hear that, which is the other part — how you make this thing a unique experience for the audience, and of course, for me as the creator. LB: I hope so. One tries to write music that would last because it’s not enough to do it just for now. It’s too much an effort for any composer. I spend too many hours composing if it’s not going to last. If I knew it was not to last, I probably wouldn’t compose anymore. If I was told, “You’re not going to last,” thank you, that means it’s not good enough, so forget it. I want to enjoy life. My wife might enjoy it more as well by going traveling, or who knows? I am truly a hard worker. I’m a very hard worker. I sit many hours a day, and a week, and through the year. That’s a sacrifice, a physical sacrifice, because I expect that the work I’m doing is going to last. If somebody says, “Listen, these aren’t going to last. There’s this performance and that’s it. I’m going to do two performances or five performances but I won’t have any further,” I will stop writing right now. I will stop in my tracks because I don’t need it. I have my job at the university. I can retire and I will be able to eat until I die. I could enjoy a different kind of life. BD: Even though you do spend so much time laboring with the music, do you leave enough time for yourself? LB: Not too much time for myself; some time, but not too much time. In the summer I do take some time, especially now. We’re going to Spain this summer, and I will spend some time relaxing. But of course, when I compose, I have a need to compose, too. I have to do something to prove myself, or to say something that is significant. I would say that once it is written, it is important that some of my works — works like Torquemada or Guernica — present statements which I feel very strongly about. To me, it’s a contribution towards these ideas that I involve on these subject matters that I cannot contribute otherwise except with my music. If I was a different individual, instead of writing Guernica maybe I would have done “Revolution Against Franco,” but I couldn’t do that, so I did a symphonic poem. If I been alive and had the power or the leadership necessary, I would vote against the Inquisition. But I couldn’t do that, so I wrote a cantata for that. I’m doing my things which I feel very strongly about in my heart, and hopefully it has a mission as well. BD: Are most of these on commission? LB: A lot of them, yes. It depends on the pieces. LB: Yes. Oh, yes. I’ve been very fortunate to hear good orchestras and good soloists. You get some bad ones, too, but as long as I have a good one that on tape or recorded, that’s what counts. [Laughs] Otherwise you just do what you can. Some of the things you learn because the forces sometimes come from not good enough technical writing on my part. I always believe that good work doesn’t have to be necessarily difficult to perform well. One of my obsessions with my students is to make sure that their ideas come across in a way that is reasonable, and in a number of rehearsals can be done very well. By reasonable performers, I do not necessarily mean the Chicago Symphony. So if sometimes some of my works didn’t get very good performance by reasonable ensembles, then I blame myself. Maybe I did something that was awkward, or not necessarily as practical as you could have been. Of course, without giving an inch to my aesthetics or the piece, I think it can be done in this practical fashion. LB: No. I don’t think there’s a perfect performance because there are many performances that could be right. I am very open-minded about the conductors. In fact, I like if I get several versions of a work. But of course, it depends what has been changed from the original. It’s hard to say. Sometimes I like the fact that that some fragments of it are longer than I’m used to, or a little slower. I say, “Well, it’s not so bad if it works.” So I tend to be very open-minded. BD: You expect it to be a collaboration, then? LB: With the performers, yes, certainly I do. Also when I compose, such as with my opera Christopher Colombus that I did with José Carreras and Montserrat Caballé, we did get together several times when I was writing this opera to go over the vocal parts. I met them in Vienna and Madrid and New York. As I had enough music, I went to see them and they might say, “Listen, my note up there is not so good. Why don’t we do this over here?” That didn’t change my music at all, so I just changed a couple notes here and there. With the millions of notes that are involved in an opera [laughs], it doesn’t make any difference. BD: So the music is not the technical perfection, it is the impact? LB: If I understand the question, yes. Sometimes you get performances that are not so accurate, even in terms of what I wrote, especially vocal. I must say that many singers tend not to be so accurate with what you write, and that hurts you a little bit. The intervals are not always correct. But on the other hand, it depends on the soloist. I find that I say, “Well, this was not the interval I wrote,” but it’s so beautiful the way he did it, artistically speaking, that I’m willing to forsake the interval for the benefit of this musicality that comes out of this voice. Here I’m talking about vocal, more than instrumental. BD: Have you basically been pleased with the recordings that have been made of your works? They have somewhat more universality and a little more permanence than a single performance. LB: Yes, I think so. I’m trying to think if there’s some that I didn’t like it. No. I’m happy. Sure, I’m happy, especially with the latest ones I had with Lorin Maazel. He did my Oboe Concerto with the Pittsburgh Symphony. I thought it was a beautiful performance, and the soloist is fantastic — Cindy Almeida, the first oboist of the Pittsburgh Symphony. So I see I’m happiness. BD: Good. You’ve also done a lot of teaching in your career. Has the teaching of composition changed at all over ten, twenty, thirty, forty years? LB: My way of teaching, or in general? BD: Well, A and B.
LB: Okay. I think that teaching in general has changed, especially years ago, not just in composition but in anything else. The students are supposed to follow and imitate the teacher. I remember I took a course in conducting, for instance, with Ivor Markevitch in 1966 in Spain, and all the students were doing exactly the same motions. I mean, we’re rehearsing the motions, literally in the morning, and then we tried with the orchestra in the afternoon. I remember also master classes by Segovia. He forced all the players of the guitar to be making the same phrasing as he was doing. In composition, the same thing used to happen years ago. Now the idea is to try to help the individuality of the students. The problem here is that some teachers in composition perhaps have the limitations because they have been composing most of their career in one style. Therefore, they cannot be very experienced in different ways of writing music. BD: So students should have more than one teacher? LB: Well, no. What I’m saying is that if the teacher has a lot of experience in different styles, then this teacher can teach. For instance, if a student comes to me and wants to do the avant-garde style of music, I’ve done that so I can help very much. If I had never done avant-garde music, I couldn’t really help very much on this direction. BD: So it’s your responsibility, then, to be able to teach the students? LB: Right. My theory is that you have to teach a student to do what they do best, which is their own personality. But say a composer knows how to do very well textural music or avant-garde music, then I find that a student is limited because he cannot have tried a three-part kind of invention. Then I force the student to learn more of the traditional styles because I think the student should be a rounded individual as a composer. So if I have this ability, then I think that I’m doing justice to the student. I am forcing him to learn all the possibilities, and then, ultimately, at the end, I can help him with what he prefers to do in his own personal style. But if I am a composer who hasn’t done all these different possibilities of writing, then I cannot really instruct the student, in good faith, on things that I haven’t been doing. LB: In some cases I am and in some cases I am not. [Both laugh] Generally, I have been discouraged, not by the music that they write, but by the state of affairs of composition, of the support of composition in the United States. I think it’s the worst disgrace; there is not much opportunity for composers to make a career. There is not much money for commissions, and the orchestras are afraid to do the new works because of the box office situation. For a country as rich as ours, this doesn’t go very well. When we are in Europe and they ask me these questions, I tell them that they have the national symphonies that are supported by the state, and they are obligated to perform the music by the natives. We don’t have this obligation in America. BD: And yet we still have a musical community that is writing and thriving and flourishing here. LB: Yes it is, and it’s true. But nevertheless I am very concerned when I have these students at the university — Carnegie Mellon — and they ask what they are going to do. I’m very concerned because of how is it. If you get some commissions as you move along, it encourages you. It’s a possibility, but for these kids now, every time it is less and less. There are fewer jobs at universities to teach, and fewer opportunities to get performances that pay to you. Certainly you have to be very obsessed to become a composer, to do it, and then you have to have something else in order to live, but it is completely alien to you. I think that we should do much better for the composers than what we’re doing. BD: You are originally from Spain, and now you are an American citizen. Is there still something inherently Spanish in the music that you write? LB: I think it is very much inherited. I go to Spain every year a couple of times, and my subject matters, for instance, are very Spanish. I suppose the fact that I’m away from there makes me feel much closer than if I was there. My commitment to historical events or even social situations that existed in the history of my country — my former country of Spain — really is reflected in my music and in my subject matters as well. I do feel very sorry about Spain and my family which is there and my friends. I love America, too, but two countries are in my life now. BD: Do you feel schizophrenic? LB: [Laughs] Not really, no. I want to balance the two worlds. When I am in America, I criticize America and defend Spain. When I’m in Spain, I criticize Spain and defend America. BD: It sounds like you’re never happy! LB: I never am happy. I’m never sad, though. [Both laugh] I know it’s in contradiction, and it never resolves. BD: Are you happy when you’re writing? LB: Yes. In this respect, I’m sure he is glad he hasn’t been killed. But still, putting notes is a brick layer effort. It’s note after note after note. That’s just to put my thoughts into practice. If I had a system by which my thoughts could come from my brain immediately onto paper, then I’ll be happy in viewing my composition. The problem is that I cannot do that. There’s no such a way of doing that. I have to go there and put notes, and try the notes, and make it better, and try again, and this can be very painful. Sometimes you are good. Sometimes you feel happy, but generally you’re happy after you’ve been struggling to make it good, and then you feel happy. BD: If you had some kind of a mechanical thinking cap that would transfer the sounds you hear right onto the page, wouldn’t take the satisfaction out of it? LB: It might take some satisfaction away, because no doubt, the more you sweat about something, the more you realize how you got the result, and the more you enjoy the result. No doubt about that. BD: You’re about to hit sixty-five. Are you pleased with where you are in your career at this age? BD: You want to write a hit? LB: I suppose a hit that is not just a hit because it’s too accessible, but a hit that has much content, much strength; something that is a hit, but not an easy hit... if that makes any sense. LB: A classic hit. I won’t write a pop tune to be a hit, but I could write an opera or a big piece that really has all the ingredients; that puts together the human problem and the human mind and the human soul, and has an impact that really is Beethoven’s Ninth. [Both laugh] Then I’ll be satisfied. So, I’ve not been satisfied. I think it’s important, because every time we try to do better. BD: Are you optimistic about the future of music in society? LB: I don’t know. The way I see it now, I am not very optimistic about the future of oxygen, or the future of culture in general. I don’t believe in the pop culture as much as Americans, perhaps. I think that music has to be — as I said before — not so accessible to everybody that it’s just an entertainment all the time. Real art has to be accessible, but a little bit above the accessibility, so that the audience has to make a little of an effort, but to be unreachable, though. I see the problem of some of the serious composers of the sixties is they were completely inaccessible by the audience. I think that’s too far. But to say that he has to write music that is completely accessible and easy, that to me means very little. BD: So you’re trying to hit a balance? LB: Absolutely. That’s what I was saying before, between the intellect of the chess player and the emotion and the instincts of a soccer player, or the comparison between the instinct of the inspiration and the reasoning of the mind. BD: Do you try to hit that balance in each piece you write? LB: I do try, yes. Maybe it is the wrong approach, but I’ve been doing that for years. I don’t think this has basically changed my way of doing. BD: You’re a successful composer, so obviously it works. LB: Yes, I think I am traditionally successful; I would say reasonably successful. Whether I should be more successful? Maybe. Do I deserve to be more successful? I don’t know. It’s not up to me to say, but I’d like to be more successful than I am; more wanted than I am. BD: What is on your desk now that is waiting for you? LB: I just finished the Third Concerto that was premiered last month in Cincinnati and now is being played here in Chicago. I have right now two works that I am finishing. One is a piece that is one of the three movements of what might be called Dreams and Melodies, which is a suite of three movements, in which I approach music in a kind of surrealistic fashion. [The final title of this work is Folk Dreams. It is a suite of 3 movements based on folk melodies from Latvia, “Line and Thunder”, from Catalonia, “Shadows”, and from Ireland, “Echoes”.] I knew Salvador Dali very well in the sixties. 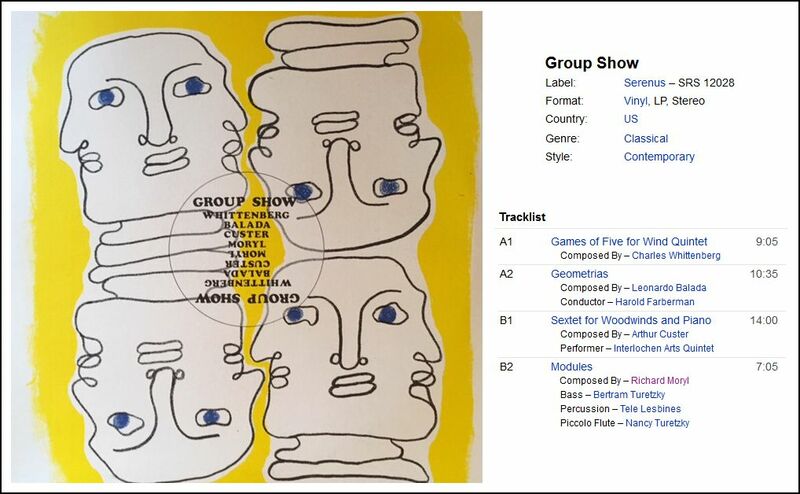 I even collaborated with him, and these three works are based on different ethnic melodies. One of them, which was premiered by the Pittsburgh Symphony with Mariss Jansons this last February, is based on a Latvian melody. I do elaborate this melody in a very surrealistic fashion. The other movement was a piece I did for the Cincinnati, based on a Spanish melody. What I’m doing now is the last movement, and it’s based on several Irish jigs, put together into one movement in a kind of a surrealistic jig. BD: The first movement was for Pittsburgh and Jansons. Since he is Latvian, you picked a Latvian melody. If he had been some other ethnic origin, would you have picked something else, and how it would have turned out differently? LB: Probably, yes, because this piece was a commission to welcome him to Pittsburgh. I could have done anything I wanted, but I decided to use a Latvian motif. BD: So that would touch him? LB: Yes. When somebody comes to your house and you have some ethnic things of this guest, they appreciate that. If I was some place and they showed me a barretina, which is a Catalan hat, I’d thank them very much for this touch. BD: And then in Cincinnati, you are saluting López-Cobos? LB: Yes, yes, yes, yes! BD: So, there’s your Spanish. LB: Right, yes. So what I am finishing now is this Irish thing, which will be the third of the three pieces for this suite. The other two pieces have premiered already, individually. I will also be writing a piano concerto for the Berlin Radio Orchestra with Rafael Frühbeck de Burgos being the conductor. This I haven’t started yet, and I hope to have an approach similar to this Magico Concerto that is played now in Chicago. There is also the possibility of an opera for Madrid. I will go to Madrid in May for discussions. The work is about Salvador Dali, and be for the Teatro Real of Madrid, that was reopened last fall after several years of being closed. I’m very excited because the librettist will be Fernando Arabala. He is Spanish-French playwright living in Paris who was a friend of Dali. He knew him very well, and he is a surrealist writer. I’m very excited that this project has come along. I am really crazy about doing it. BD: Good. It’s always best to be enthusiastic about something that you’re involved in. LB: That’s part of the thing, to be enthusiastic. If you write a piece of music and you are only so-so, forget it. You have to put yourself into it or it will become just an exercise. You’ve got to feel very strongly about the piece; you have to be in love with a piece. Again, here comes the reasoning... When you are in love with a person, you want to make sure this person doesn’t want to be a nightmare for you the rest of your life! So you have to feel enthusiastic, but also think, “Wow... can I do a piece because I’m going to be working on it for awhile.” I feel very enthusiastic about this opera, and I hope it comes to terms. BD: Before you go, I wanted to ask about your birthdate! LB: My real birthday is September 22nd, 1933, but my legal birthday is the 23rd. At the time, Spain had a very repressive government, and the whole mentality was very repressive in a way. My parents didn’t go to City Hall to register my name on time, and they were facing a stiff fine for that. So they pushed my birth one day later. So in my passport and my things of legal nature, I am born on the 23rd, but in the dictionary, encyclopedias, and my friends always congratulate me on the 22nd. BD: Then we can have two celebrations! [Both laugh] Thank you for coming to Chicago. It’s been a great pleasure. I wish you lots of continued success. LB: Thank you. It was very nice being here talking with you. This conversation was recorded in Chicago on April 19, 1998. Portions were broadcast on WNIB later in the year, on WNUR in 2004, and on Contemporary Classical Internet Radio in 2005. This transcription was made in 2014, and posted on this website at that time.